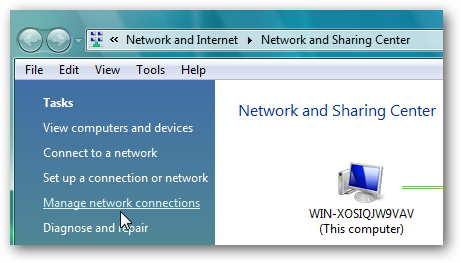 Here is a simple way to Assign a Static IP Address in Windows Vista. Just follow the instructions below, its very simple . 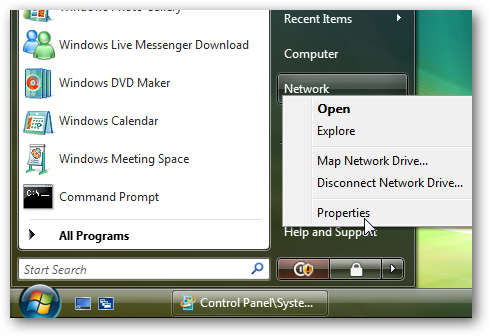 Open the Start Menu, right-click on Network, and select Properties from the Pop up menu. 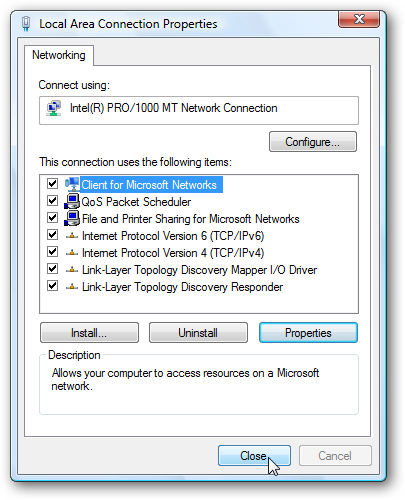 Select ” Manage network connections ” from the Left Pane in the Network and Sharing Center. 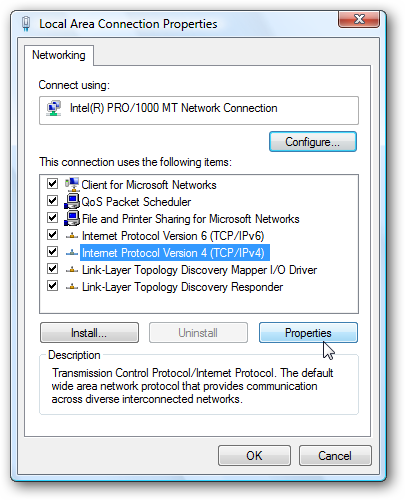 Right-click on the Network Adapter which you want to assign an IP address and Select Properties. 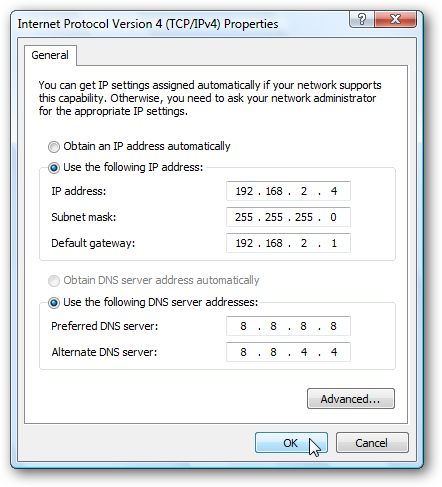 Click on the Internet Protocol Version 4 (TCP/IPv4) in Local Area Connevtion Properties and then select the Properties button . 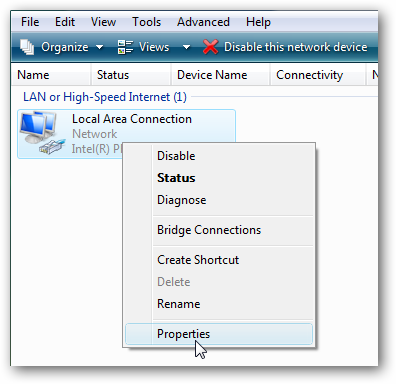 When you’re finished click on OK .
Now, close the Local Area Connection Properties for the settings to get into effect. 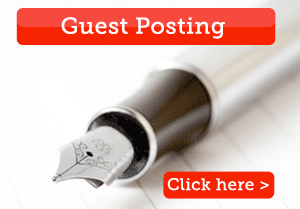 Open the Command Prompt and do ipconfig to verify whether the changes are successful. Thanks, will check this tip. nice tutorial… i think same will work for window 7..
ya.. Mostly same.. But some selection ll vary.. since they have upgraded a little..